In feng shui, lucky numbers play an important role for luck and fortune. You can use lucky numbers to generate auspicious chi energy in various sectors in your home or office. This is especially true when you choose a feng shui phone number or house address based on lucky numbers. The main number you want to discover in feng shui is what's known as your kua number. This is determined by your birth year and your gender. Use a special formula to calculate your personal kua number. The Eight Mansions theory dictates certain energies are attracted to you at the time of your birth. These energies can be used to assist you in all areas of life. The key is to know what those energies are and how to use them. Your kua number can guide you to unlocking those auspicious energies. When you have a professional authentic feng shui analysis calculated using Form and Compass Schools of Feng Shui, you'll be given a chart that maps out each of your auspicious and inauspicious areas, based on your kua number, the kua number of your home, the eight mansions, and the flying stars. All of these are interconnected and vital components of mapping out your energy relationship to your home. 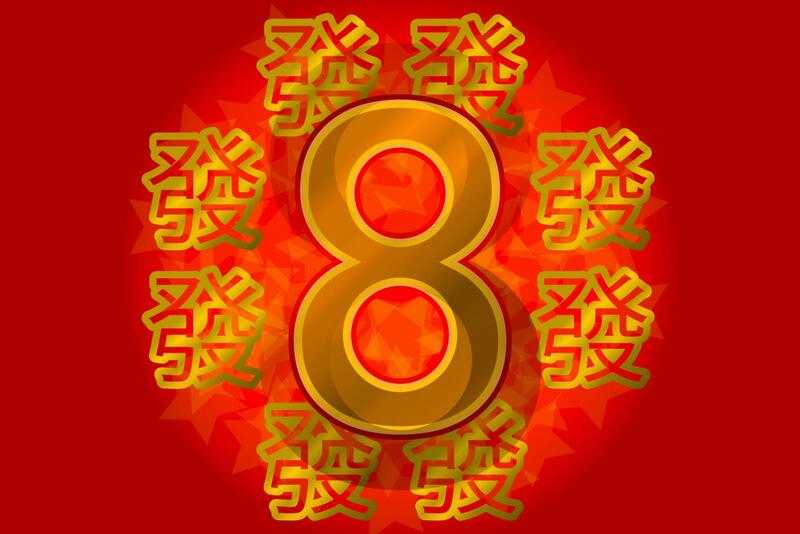 The number eight is lucky because it sounds like the Chinese word for prosper. Many times in feng shui applications and symbols you'll find items grouped together in eights such as coins, chimes of a wind chime, or stalks of a lucky bamboo plant. Infinity knots (figure eight) are considered auspicious, and you'll find them used as decorative supports for suspended feng shui emblems, symbols, and objects. When looking for a new home, many people who practice feng shui design principles seek an address that incorporates the number eight. People often select phone numbers that have a few number eights and nines. The number nine is also a lucky feng shui number since it has a similar pronunciation as the Chinese or Cantonese word for sufficient. A cultural belief is that the number nine can imbue abundance and enough of whatever you may need, including money, health, career success, food, and a home. Nine is also synonymous with having and enjoying a long life. Another lucky number in feng shui is the number two. This is because the Chinese believe that anytime there is a pair of objects, animal, plants, or people, then good fortune is sure to follow. This belief is deeply rooted in various traditions within the Chinese culture. Whenever adding paintings or objects to the master bedroom, always use pairs, such as a pair of mandarin ducks sculptures or if you select a painting of a single duck, choose another one to go with it so you have a matched pair. Any type of gifting must be done in multiples of two. For instance, if you give a bride and groom a wedding present, then you need to give them two gifts instead of one. The more gifts you give, the more luck you bestow upon the person and to yourself since whatever you give to the world comes back to you double-fold. The multiplication doesn't stop at the number two and can go as many gifts as you like. If you want to give more than one gift to a person, such as three, then you need to give six. Never give a person four gifts unless you deliberately want to insult them and wish them bad luck. Chinese numerology defines numbers by their similarity to specific words, such as four sounds like the word for death and five sounds like the words not or without. Depending on how it is used, the number five can be auspicious or inauspicious. In Flying Stars formulas, there are three stars considered inauspicious and unlucky. These are the stars 2 (illness), 5 (yellow star of misfortune) and 7 (robbery or violence). The flying stars represent the cosmic stars with annual flying stars and monthly flying stars. Each of the 9 stars carries specific properties that visit the sectors of your home or office. Classical feng shui practitioners can calculate where each star resides annually and how they change each month, just as their counterparts move in the heavens. 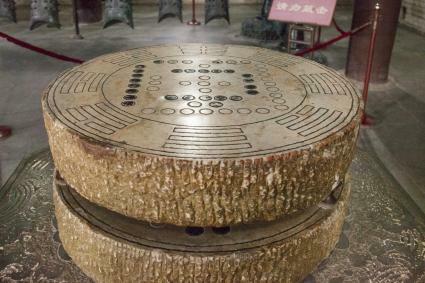 Finding Chinese Lucky Lottery Numbers Using Feng Shui? Some people believe that certain feng shui numbers are the way to play the lottery. The numbers most often used are 6, 8 and 9. Any combination of these numbers along with 16, 18 and 19 are believed to be sure winners for any lottery. Good luck! There are many instances in life where you can take advantage of lucky feng shui numbers. You may want to experiment with different groupings or series of numbers until you find that happy lucky combination.